Hi, there! Thanks for dropping by Flawed yet Functional! I am an insulin-free, Type 1 Diabetic managing my blood sugar by diet, exercise, and healthy habits. If you’d like to know more about what in the world I’m doing, read here! Sausage is delightful, but it is hard to enjoy when on an elimination diet as some spices are usually part of the elimination! 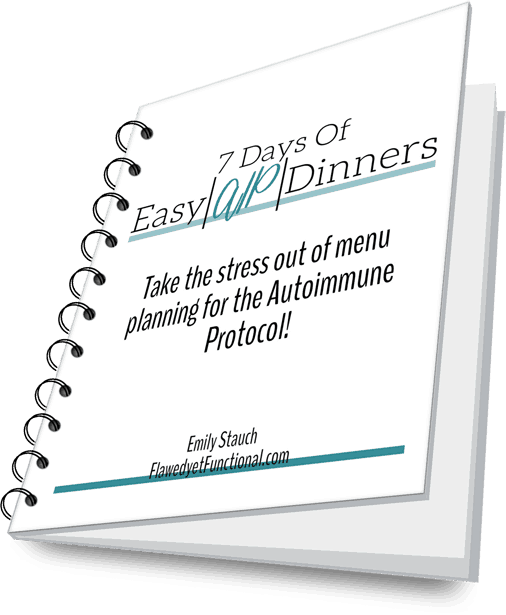 Not to worry, you can make it yourself, and it’s so easy! 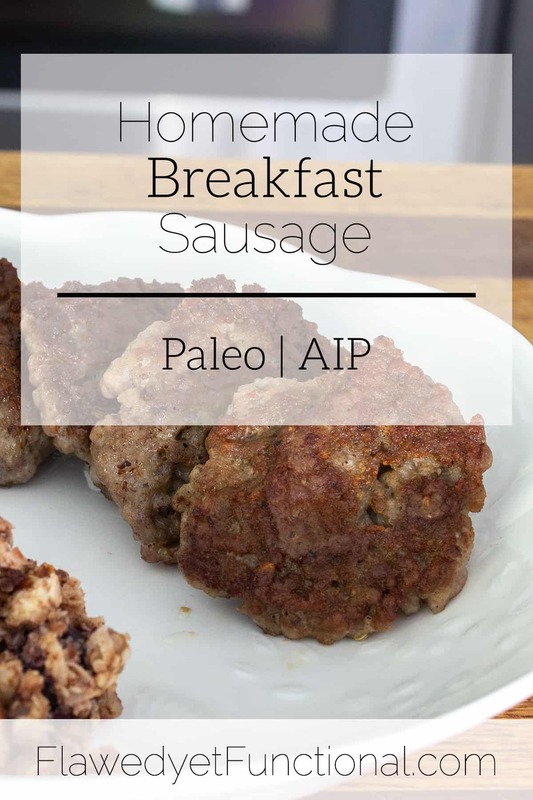 Today I’d like to share my homemade breakfast sausage recipe with you that is Paleo and AIP (with a small adjustment) friendly. At the beginning of 2018, my husband and I invested in a meat grinder. We had processed a deer in the fall of 2017 with only a Kitchen-Aid meat grinder attachment. It was inadequate to say the least. 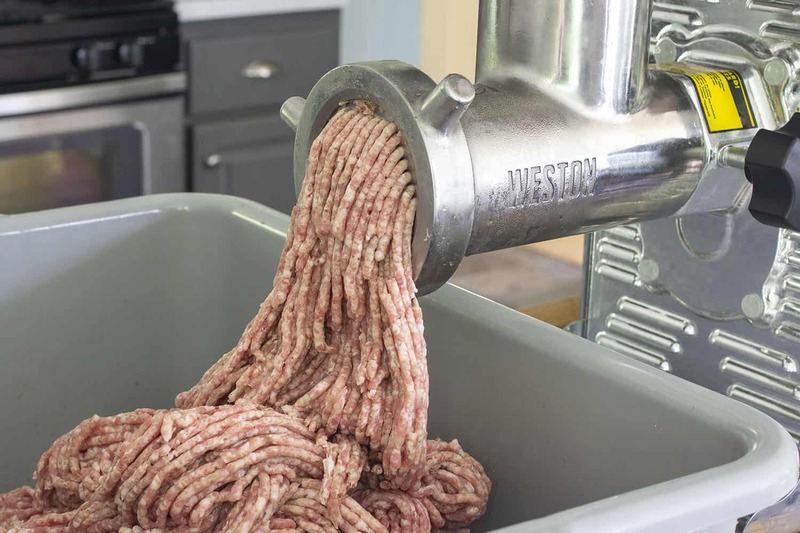 With that experience fresh in our minds and knowing the restriction of spices during the Autoimmune Protocol elimination period, we thought it would be best to buy our own grinder so we could make our own sausage, tubular meats, and process our own wild game. I know, I know, we are so over-the-top! That’s just how we roll! Commercially produced sausage will list out the ingredients one by one except when it comes to spices. The label may say “garlic” or “onion” but at the end a generic “spices” is always tossed in. I do understand the rationale behind this. The companies are trying to protect their recipe, but it makes it very difficult for someone to definitively eliminate all nightshade, fruit, and seed based spices. Paprika is everywhere in seasoned meats, folks. Everywhere. The natural solution? Make our own. Now, don’t think I’m telling you all to go out and buy your own meat grinder. Dan and I are go-big-or-go-home kind of people. Have you guessed? The simple solution: buy plain ground pork from the grocery store and mix in the spices. Bam! You’ve got sausage in about 5 minutes or less! Good sausage is all about the right blend of spices, but every spice blend will fall short if it does not have sufficient salt and pepper. To ensure optimal flavor, fry up a small patty after you mix in the spices. After it’s fully cooked (165° F), taste it to see if you need to adjust the seasoning. Adequate salt – under-salted sausage tastes flat. Properly salted does not necessarily taste salty but rather all the flavors pop. You should be able to taste the sage and the onion in the meat. If you can’t or are unsure, add more salt. Adequate pepper – under peppered sausage tastes bland. Properly peppered sausage has a pepper-y “spice” to it. If you don’t have adequate salt and pepper, add some more then fry up another patty. You will get used to how much salt and pepper you like so you won’t have to do this every time. Practice! If you are regularly tasting your dishes then adjusting with salt & pepper, you will naturally develop a feel for how much more a recipe needs. Breakfast sausage is a staple in our house, and I love being able to make a sausage that I know exactly what is in it. This way my family and I can enjoy it risk free. Have you ever tried making homemade breakfast sausage? Do you have a favorite recipe you’d like to share? Sage and onion breakfast sausage with accents of fennel and clove. 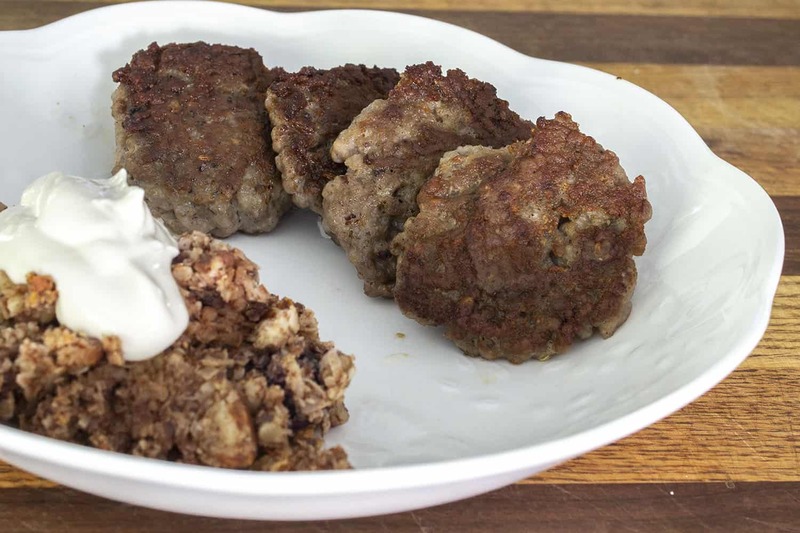 This savory breakfast sausage is Paleo and AIP friendly (when fennel is eliminated). In a small bowl, combine all dry spices: sage, salt, fennel, cloves, black pepper, and onion powder. Stir until well mixed. In a medium bowl, add ground pork and seasoning blend. Use hands to gently mix until meat is seasoned. Heat a frying pan (ideally cast iron) over medium heat. Add 1 tablespoon of olive oil. Fry a very small patty until internal temperature reaches 165°. Taste and adjust seasoning as needed. Shape remaining sausage into patties and fry over medium heat, flipping once, until internal temperature reaches 165°.